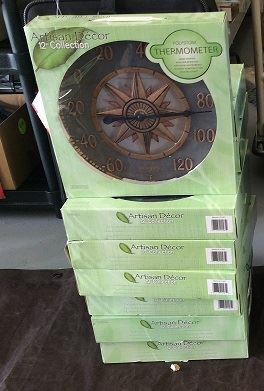 Click the button below to add the Wholesale Lot of Artisan Decor 12" Polystone Thermometers. Indoor Outdoor Thermometers Approx. 24 PCS to your wish list.